This is an older post, but I wanted to bring it out of the dark and dusty closet. Last time I talked about the Expat Christmas Tree, all the ornaments that we have representing the places we were at during the holiday season. Those ornaments are mine and my husband’s, not our kids’. They will have the opportunity to have them when we are finished with them one day. My kids have their own ornaments. This is a tradition that my mother started years ago with me. 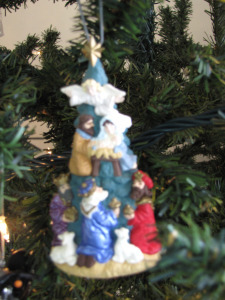 When I was young, I received one ornament each Christmas until I left home. She has carried out this tradition with my children. They each get an ornament each Christmas. It is not anything huge or grand, but it is to them.